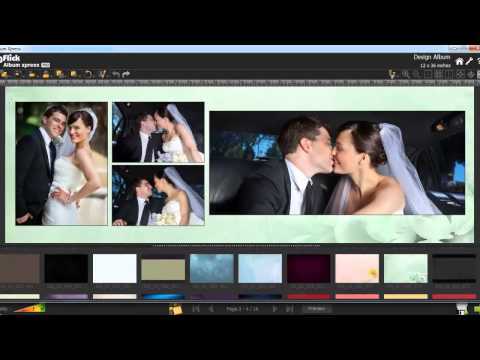 With busy season upon us and workflow at a peak I'm wondering what software people use for designing their wedding album? I have always used Photoshop unless it was a Graphi and then I would use theirs. I'm looking for something to lighten the load. I use Lumapix Fotofusion. Takes me 2-3 hours to design a 40 page 120-140 image album. Same here. I use (and love) Fotofusion Lumapix. It is fast to design an album from scratch. I also created my own basic templates. Having a play, but cant figure it out at all. I punch in the size of my album page and it doesn't give the right size. I think it's going to be a long night....week. How do I create a template? I'm so use to doing it in PS I doubt I'll manage with this. They have some very good videos to get you started in there support section. Seriously once you get the hang of its so much faster and easier than Photoshop. Thanks, I spent a couple of hours (in between editing an album) having a play with fotofusion and figured a few things out, I realised what I was doing wrong. Not sure how to go about creating templates though? Looks good and will no doubt do some more playing tomorrow (in between packing for holidays). 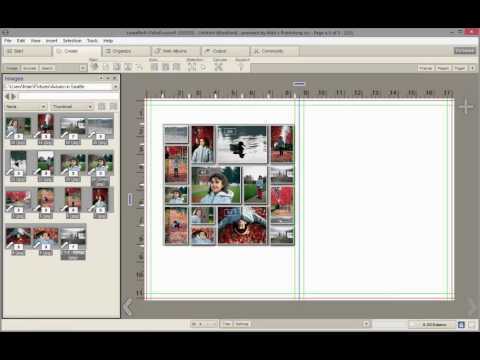 I create my own templates by saving an album with typical page designs, as "11x11 template". I do this by deleting the photos from the album, and keeping the (grey) frames. Fundy Designer is my software. Does anyone use the "Enhanced" FotoFusion (instead of the full blown and more expensive "Extreme" FotoFusion)? According to LumaPix's website, the enhanced version has a max output of 3900 pixels x 5700 pixels. Is that a limitation on a full two-page spread, or on a single side? The latter doesn't seem limiting, but the former could be problematic. Trying to figure out if the higher price for the Extreme version is really necessary ... thanks in advance for any responses. Justin the max output applies to a full 2 page spread since its a single file when output. FYI version 5.5 is suppose to be released with some new features on September 1st. Sorry, I didnt realize I had posted 5 times. Nothing indidcated that the post went through. Please remove 4 of them. Not a problem Bob, the Forum just went through an update and you probably posted and thought fault on your end. Hmmmm, not sorted, got Neil's IT guy on to it. I just had duplicate posts, and it does nothing when you click Post Comment, but it does if you keep clicking it, I just had duplicate posts, and if you refresh the page by going to Home then opening the thread again you will see the post/s. now im torn btwn the two, any thoughts? Naftoli - FYI a new version of Fotofusion was suppose to be released on 9/1 with some new features but hasn't been due to server issues. Should be released anytime now. Album Express looks like it does a lot of the same things Fotofusion does. Why don't you download the trial versions of both and see what works best for you. Naftoli -- If you decide to make a comparison between Album Express and Fotofusion, please post your findings here. Thanks! I encourage you to look at Fundy as well. I personally think they're the best. I have not had any dealings with any except David's recommendation of the Fundy program. It was very good for me, but I now go down a different path, personally using my own templates in Photoshop. Naftoli - According to the dgflick website Album Express is only $99.